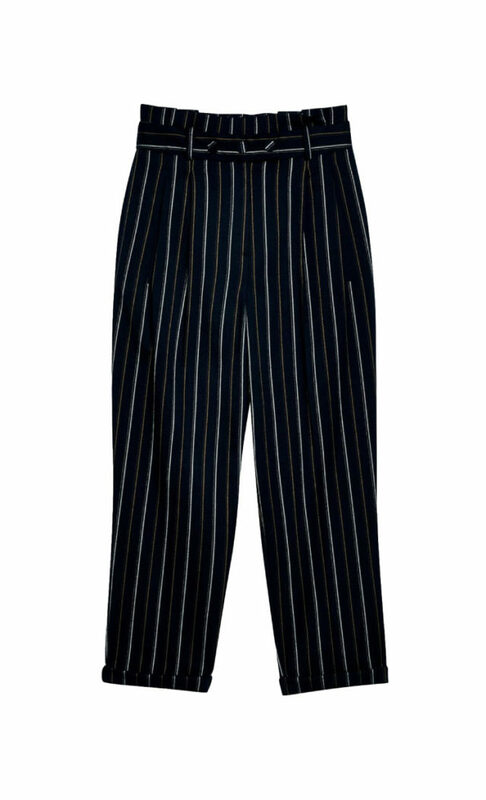 Look office and drinks appropriate with these all over stripe trousers in a paperbag style and three button waist fastening. Tuck in a long sleeve top for a cool pop of colour. 83% Polyester, 16% Viscose, 1% Elastane.